Tickets can be purchased online from Dash Tickets. 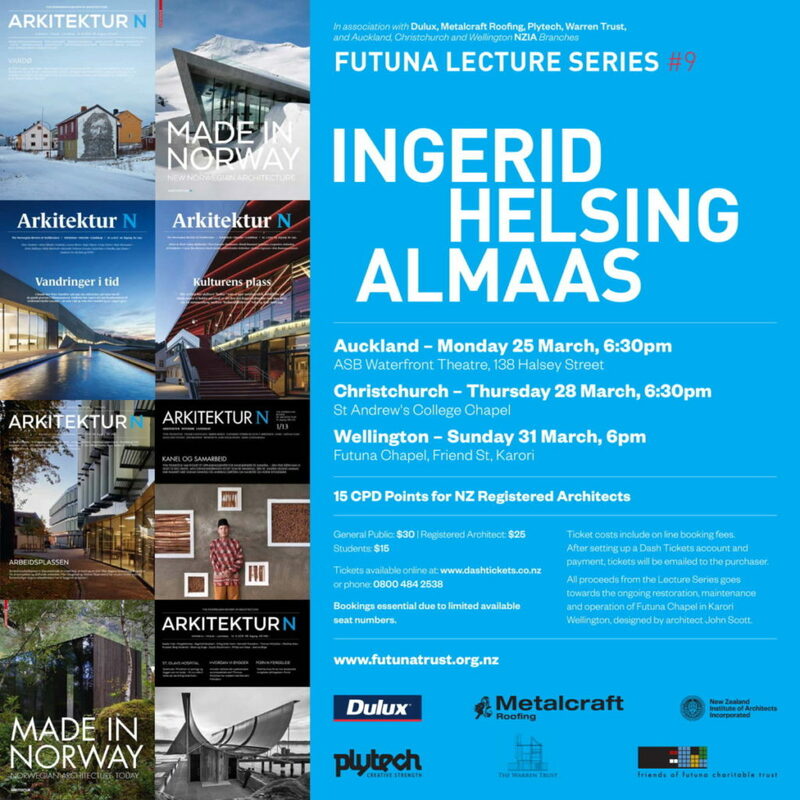 See links for Auckland, Wellington and Christchurch below. Click this link for more information about Ingerid. 6th Jan • 3rd Feb • 3rd March 11am – 2pm • 7th April 11am – 2pm • 5th May 11am – 2pm •2nd June • 7th July • 4th August • 1st September • 6th October • 3rd November • 1st December – Note that 3rd of March, 7th of April and 5th of May have a reduced opening time of 11-2 due to the 2pm concert – click here for more info about Open Sundays for 2019. 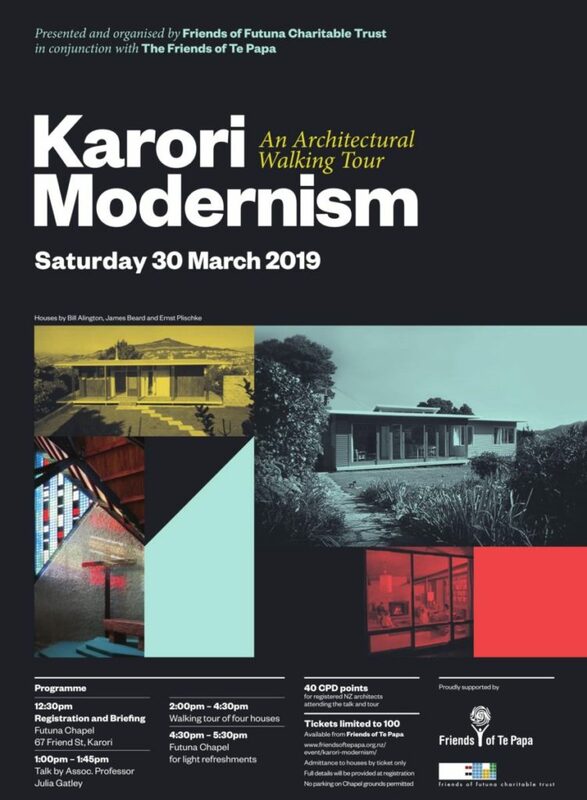 In 1958, six years into his private practice, Hawke’s Bay architect John Scott was commissioned by the Society of Mary to design a chapel for their spiritual retreat in Karori, Wellington. 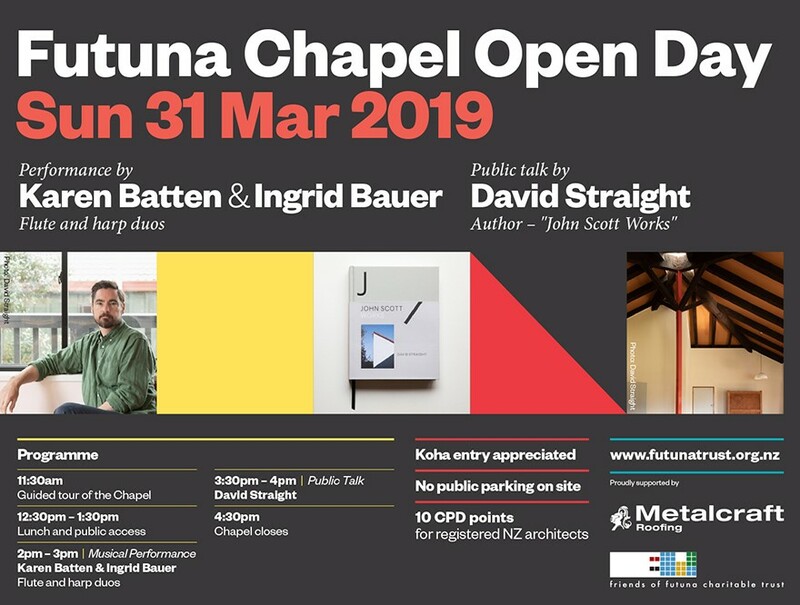 Built by the Brothers of the Society themselves, and embellished by Auckland sculptor Jim Allen, Futuna Chapel opened in 1961 and immediately became a talking point among architects and a mecca for aspiring members of the profession. 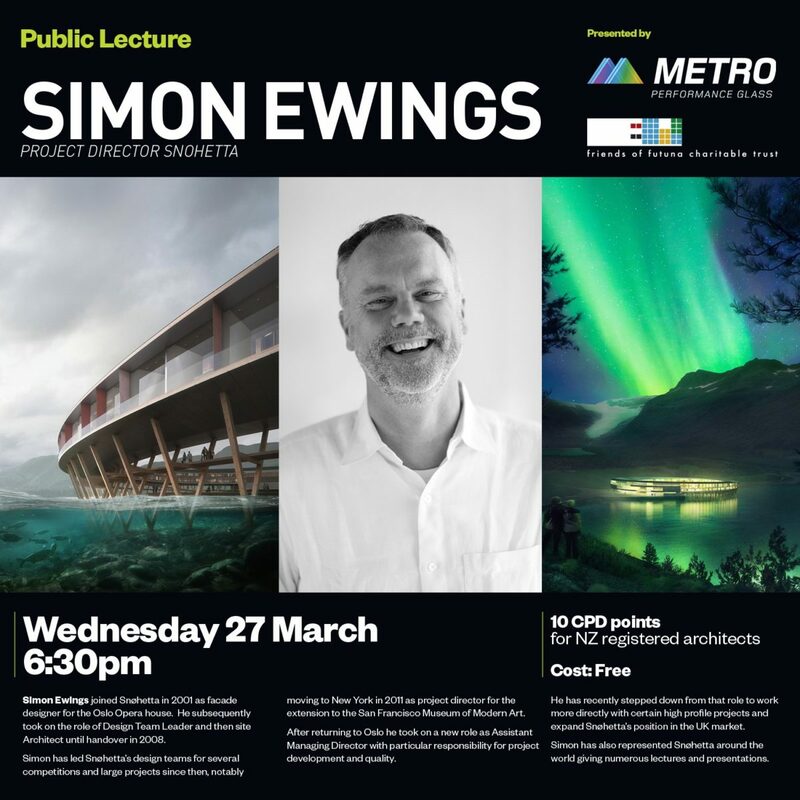 In the 50 years since, this little private building hidden away the Wellington suburb of Karori has become generally regarded as an architectural masterpiece and perhaps the most complete example of a true modern ‘indigenous’ New Zealand design. In 2000, the Society of Mary had no further use for the Futuna complex and sold it to developers. 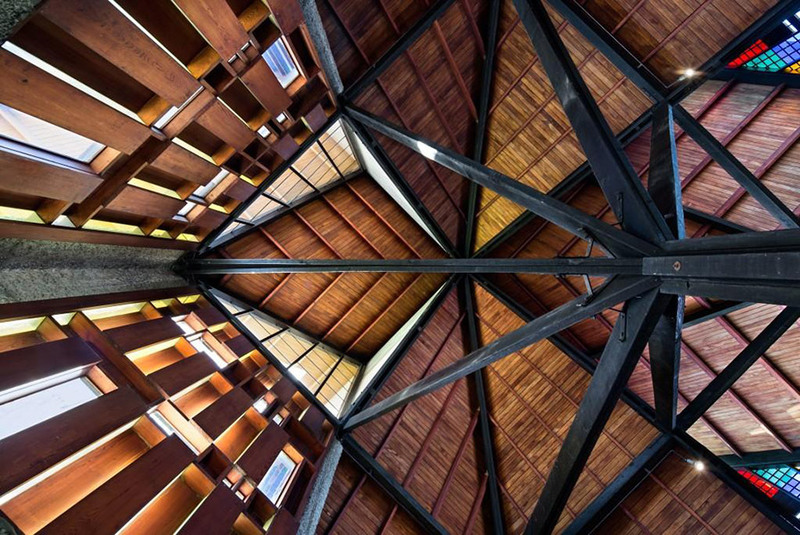 While the 66 residential units now forming Futuna Village were being built, the chapel itself was used as a materials store. While tarnished, most of the fixtures and fittings remain in good condition. In 2000 Jim Allen’s magnificent Jesus figure disappeared from the Chapel and remained at large for 12 years until its recovery in 2012. 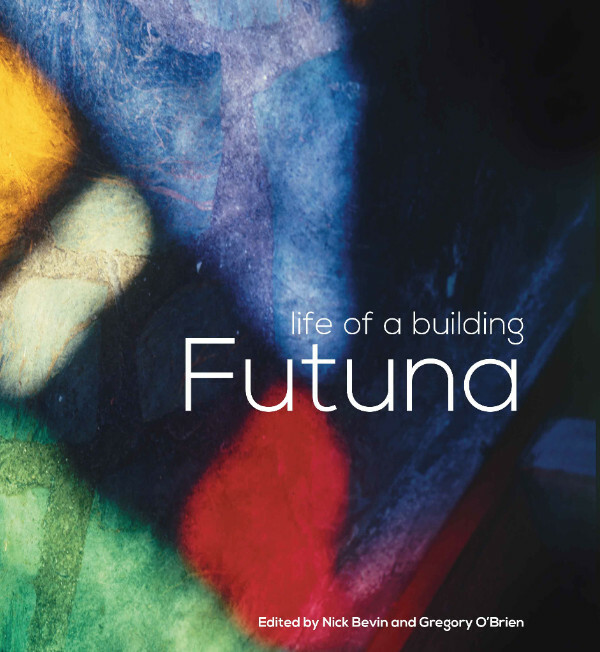 Concern about the building’s future came from many quarters, but not until the Friends of Futuna Charitable Trust was formed and negotiations with the developers began in earnest was it possible to say that this valuable part of our culture was almost safe. Safe at last – but money still required! Friends of Futuna Charitable Trust has now completed the purchase of the Chapel and the parcel of land that it sits on. The Trust’s main task now is to raise the required funds to complete the planned exterior restoration, and to ensure the future maintenance and operation of the building. You can learn about donating to the Trust here. 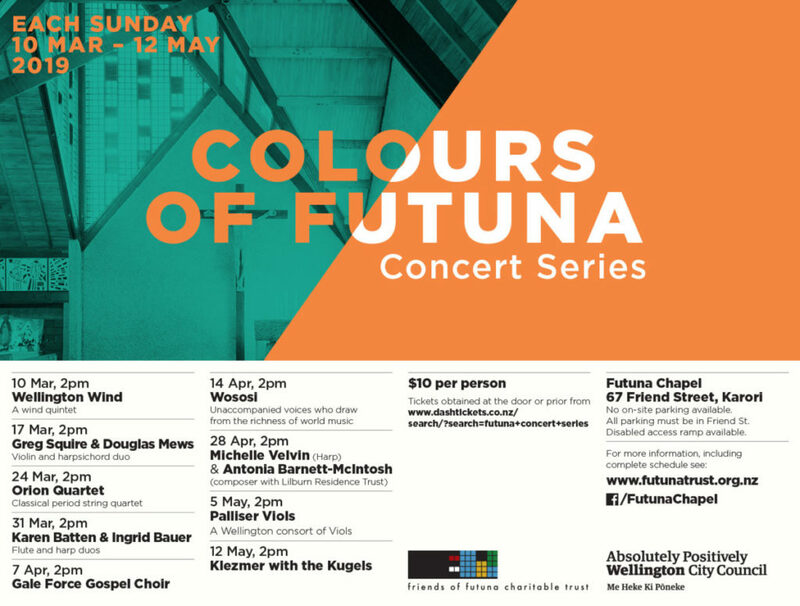 The Friends of Futuna Society has been established by the Trust with the aim of seeking membership from the national and local community to assist with the ongoing maintenance and operating costs of the chapel, support events as well as contribute to the funding of the establishment and maintenance of a Futuna Chapel/John Scott Archive. Membership of the Society will be through an annual subscription. – learn more about the Society here.